I know it's unoriginal to call this your favorite book, but, well, I don't care. 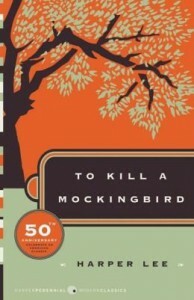 This is an amazing book, a classic like no other, that will be cherished by generation to come. I love its simple narrative, so childlike and naive, and the great story our protagonist, Scout, follows. What an amazing book! I couldn't even wait to read it in school - I read it a year before it was scheduled on my reading list.